Our mission is to keep loved pets in loving homes. If your pet outlives you, we keep your pet safe and loved. We will serve loved pets and their pet parents with Trustee services for your Pet Trust so your pet stays at home, in a forever home or in a sanctuary - its your choice. We also support animal welfare and rescue organizations locally and nationally that complement our mission. Protect your pet now, call 407-977-8080 or Peggy@HoytBryan.com. The mission of Animal Care Trust USA is to keep loved pets in loving homes. We do this in a couple of ways: 1. Your pets can stay in your own home for the remainder of their lifetime. We will place a qualified pet caregiver to live in your home so your pets never have to be relocated; or 2. Your pets can be placed in a sanctuary of your choice (or selected with our guidance) or in a forever foster home who will love your pets like their own. Ultimately, the choice is yours. We can help you create a pet trust that will provide for the lifetime care of your pets. Animal Care Trust USA will act as the Trustee to ensure your pets have the care and oversight they deserve. The pet trust will be funded at the time of your death and the trust assets used to provide lifetime care for your pets. Assets left at the end of your pets’ lifetime will pass to the charity for the purpose of furthering the charitable mission of the organization. If this is a mission that resonates with you, please contact Peggy Hoyt at 407-977-8080 or Peggy@HoytBryan.com. This organization has been a dream of mine since 2012. When my father was the President and CEO of The Humane Society of the United States he shared a vision he had for an organization called Animal Care Trust. This is his (and my) dream come true. Our Board is made up of attorneys, financial advisors and others committed to the lifetime care of pets. It is people who love animals that will ultimately make this organization a success. Thanks for considering Animal Care Trust USA as the solution for your loved pets. Welcome to October and the unofficial start of the Fall season. This is a great time of year to review your existing estate plan. Make sure your pets are taken care of if something happens to you. If you need help in making difficult decisions related to the forever care of your pets, we are here to help. Our attorneys have nearly 40 years of combined experience helping families protect the people and pets they love. We can create a pet trust to meet your needs. Animal Care Trust USA can act as the Pet Trustee to ensure your wishes are carried out. Your pet can remain in your home or you can elect to have your pet cared for at a sanctuary or forever foster. The choice is yours. Reach out to us today. Remember us in your planning too - that way, we can help others take care of their pets. Animal Care Trust USA Granted 501c3 Status! Animal Care Trust USA has been granted official 501c3 status by the Internal Revenue Service. This means your contributions to Animal Care Trust USA are now tax deductible. We are fully operational and can serve your pet's housing and Pet Trust needs. We are partnering with local and national organizations to provide your loved pets with forever loved home services and options. One of our partners, Perpetual Care in Ocala, Florida, just advised they have been assisting pet parents who are in an assisted living or nursing home facility with services that allow loved pets to continue to have regular contact. So, even if you can't stay in your home, your pet can still be an important part of your daily life! Our founder, Peggy Hoyt, is attending the Animal Legal Defense Fund Animal Law Update at the Florida A & M Law School today. Students, lawyers and interested persons are learning about Florida's animal laws and current pending cases. A number of members of the Florida Bar Animal Law Section are in attendance offering their expertise and support for this important animal welfare program. Today, Animal Care Trust USA filed for non-profit status in the State of Florida. Our IRS 501c3 application is pending. Our mission is to serve as Trustee for Pet Trusts designed to provide pets with lifetime care after the death of their pet parent; either in their own home or in a sanctuary of the pet parent's choice. As a founding member, estate planning attorney, and lifelong animal advocate, I understand the needs of pet parents. I have no two-legged children; only those who wear fur coats. As a result, if I were to die, I want to know (for absolute sure) my pets can remain in their home for the remainder of their natural lifetimes. I can imagine nothing worse than them losing me - their pet parent - and then also losing the only home they have ever known. Pet Trust proceeds may be used to support local and national animal charities, of your choice and in your community. Animal Care Trust USA is the solution to an age old problem. Your pet deserves to know his future is secure when you are no longer available to provide lifetime care. Contact us today to learn more about how you can protect your pet - for a lifetime. Pet Trusts are becoming increasingly more popular. People who love pets realize the only way to ensure their pets will be properly cared for in the event of a permanent inability to care for their pets or in the event of death is to create and properly fund a Pet Trust. Pet Trusts are designed to provide lifetime protection to our four-legged furry faced kids - the ones who never grow up and can never be truly independent. Part of creating a Pet Trust is deciding who will be your Pet Caregiver. This is the person who will be responsible for the day-to-day care of your pet. It's the person who will feed your pet, love your pet, exercise your pet, take your pet to the vet for regular visits and when they are sick. It is important to have both a primary Pet Caregiver and one or two back up caregivers, just in case. Some people will use Animal Care Panels. This is a group of people you select to oversee the day-to-day care of the Pet Caregiver. 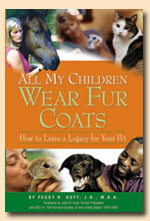 This can include friends, family and even veterinarians. The Animal Care Panel can also be used to find a replacement Pet Caregiver in the event your chosen caregivers are unable to provide lifetime care for your pet. Trusts also need trustees. A trustee is responsible for the investment, administration and distribution of trust assets according to the instructions in the trust. Rarely should your Pet Trustee be the same person as your Pet Caregiver - there's a conflict of interest. You want to make sure your Pet Caregiver does one thing really well - cares for your pet. Your Pet Trustee should also do one thing really well - manage the trust assets for the benefit of your pet. 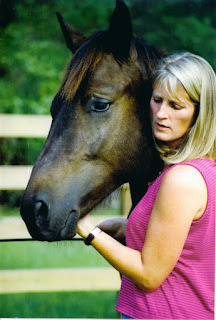 Animal Care Trust grew out of requests by clients to provide these very important Pet Trust services. Peggy is the author of "All My Children Wear Fur Coats - How to Leave a Legacy for Your Pet" and has many people create Pet Trusts to provide lifetime protection for their pets. These same people and others have now asked her to recommend a Pet Trustee. 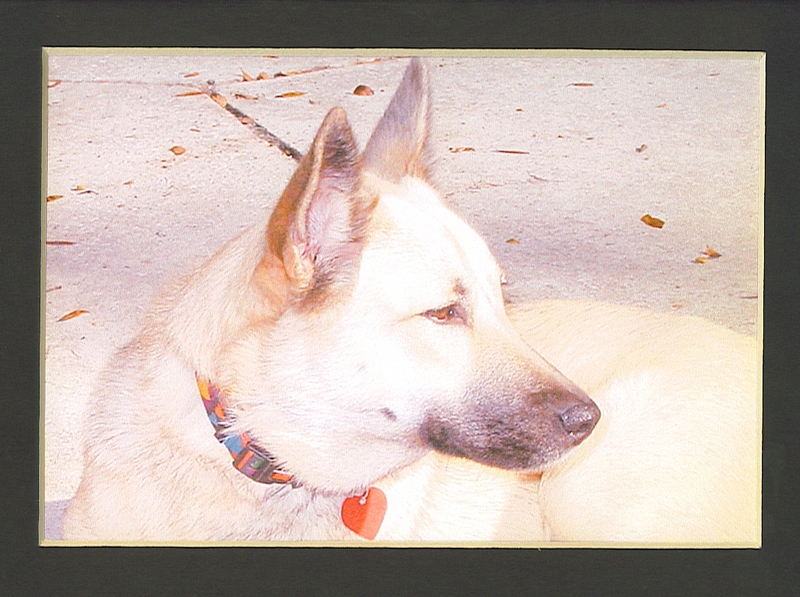 Most corporate trustees are not equipped to provide Pet Trust services. Either the value of the trust is too low or the responsibility is too high. Animal Care Trust does one thing - provide superior trustee services to Pet Trusts. For more information contact us at Info@AnimalCareTrust.com.